I've been meaning to create a topic about the gaming news which might not necessarily be worth it's own full thread but could still be worth discussing or even just for sharing things. There's no real guideline here. Stories can range from trademarks to trailers, from extremely serious to silly. I imagine a few stories might even get their own topic if it warrants enough discussion however that's not really the point of this. Anyway, it'd be cool to hear some feedback on this. Personally, I just think it'd be good to have an ongoing conversation with people discussing various gaming related news. I'll keep adding stories for a bit to see if there is interest. If not, then it'll eventually fall just fall away so no harm done. Oh, also a better title would be good feedback! For me, this is the first time I've ever been genuinely interested in the release of a telltale game. I loved The Wolf Among Us and am really looking forward to a second season. I'm not going to start the whole "Make a new engine telltale" but just please have it optimised. Last things I played was Tales from the Borderlands and it was okay technically but man are those freezes and dips frustrating. 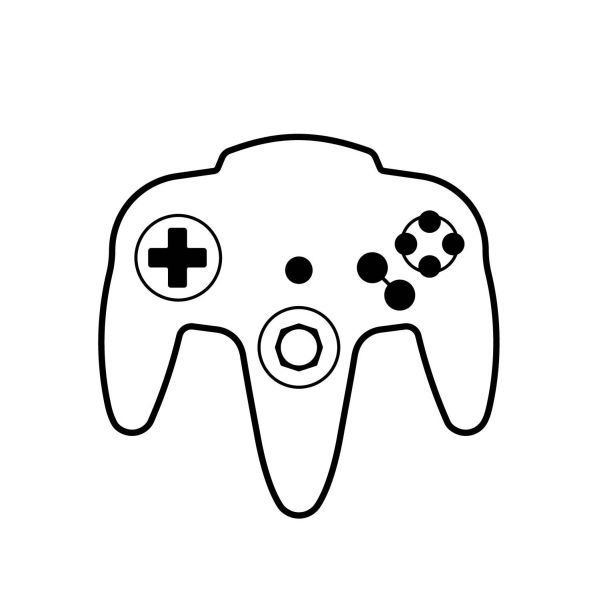 Looks like they filed a few other trademarks too but this one is obviously the most interesting as it does point to the possibility of a N64 mini. Honestly, I'd still be a little surprised if it happened for a few reasons. early 3D games just don't look that nice in comparison to great looking 2D games. I guess overall, I just don't think the N64 has the same nostalgic appeal as the NES or SNES. @tokeeffe9 I just want more Tales from the Borderlands. How they gonna stunt on Gearbox with their own property THAT hard and then never go back? @El-Shmiablo Ya, I did enjoy tales alright but I feel like that could be in a similar situation to Wolf Among Us. They have so many huge IPs now that I can see it taking a few years before you hear something on another season. @tokeeffe9 Look at you with the Hottakes! I really like the idea of this thread. I don't peruse many gaming news sites or forums, so this will help me keep up to date. I didn't know either of those stories, and I'm excited to hear both. My wife and I enjoyed playing through Wolf Among Us, and it's always exciting to see a game we can enjoy together. I would love to see an N64 mini. It carries a lot of nostalgia for plenty of people my age. Even the firefighters I work with were just talking about how they loved Goldeneye and Mario Kart and Ocarina. Something like that would be great for the station, though I don't know if Goldeneye would be included. @Billy The hottest of hottakes . Seriously though I think that's the issue. I'm not sure what games they could actually put on it. And it was a time when 3D was so new so a lot of the controls and visuals aren't the nicest. I just think it's a harder sell. @bard91 Do you mean like a new category in the way we have gaming and general discussion? To your point, I'm okay if things get lost in between. This is generally meant for smaller items of news so if something does get lost, it's totally fine. I'm hoping overall, it'll be used more like a general chat of some news from the day and anything that generates a lot of conversation will get it's own topic. Thanks to both of you for feedback. Anything I've said isn't exactly set so we'll see where this goes really and what others think too. Should be interesting to see what THQ Nordic are actually up to. It's a little surprising with all the IPs they've acquired that they're announcing a new IP. Post-apocalyptic Kung fu fable.. I'm intrigued! Not sure what the new installment would be but I'm going to call Destroy All Humans. I think this is a great thing! thank you @tokeeffe9 for taking the initiative to do this thread! will keep the forum from drowning in "short new flairs" which Ive seen other forums get. Where you get a new thread for news that are super relevant for like a day. Thumbs up to you! I imagine a few people might be getting excited about a Yakuza 2 remake. Personally, I think they'll wait until sales of Kiwami before they'd start or announce that. @Lotias Thanks dude, that is the basic reason behind it! @tokeeffe9 I honestly think Yakuza 2 Kiwami or whatever it ends up being called is a no-brainer already based on the reaction to Zero. I think they've just been sitting on it so they don't saturate the market. Idea for a future PSX or E3 booth - get a big plush tiger that you can launch out of an air cannon at people for them to punch. Yakuza 2 Kiwami just has to happen, but that's what I thought about RE2 back then when REmake came out. I know they are doing it now, but I doubt it will be anything like REmake and more like RE4, or when they want me to kill myself, RE7. what do people think about the likelyhood of Yakuza games on PC? Sega has been focusing a lot on porting their games and it seems to have had good results so I don't think it is a crazy to imagine it could happen. @bard91 I wouldn't be too surprised by that either. I've no idea if there is a deal in place with Sony but generally, Sony haven't considered PC a rival. If you check out the video in the previous tweet, you'll see that you also had to make the box yourself. Also, I'm assuming those backers got the game digitally previously because it doesn't come with a game. A really bad kickstarter just keeps getting worse. The portable versions are going to be so bad. I didn't realize they were still working on portable versions! Assumably the horrible art style they ended up with was to accommodate for less powerful platforms but apparently that's still not low-tech enough. There are a lot of things that can be excused but this Kickstarter was seriously a disgrace.